Glass Nation is proud to have the best glass dab rigs online, hands down. We work super hard to bring you the best quality dab rigs online. We won’t rest until you get the best deal or the highest quality glass rigs online. Glass is one of the best materials to make bongs, pipes, and rigs out of. Glass Nation knows this and stocks tons of premium glass rigs from tons of heady glass rig artists. 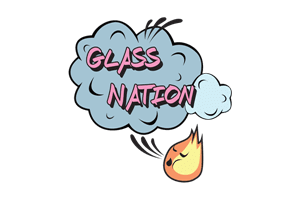 Glass Nation knows all about how to find the best glass rigs and glass oil rigs on the market. A good glass rig or glass oil rig is all about functionality. If a oil rig doesn’t have a high degree of functionality, then whats the point? No point, go back to square one and buy a new one. If you are going to be living that professional dab life you need a professional glass rig to do your business.